This cemetery was transcribed by Hulda Bredenberg and Woody McLellan between Aug. 4 and Sep. 23, 1962. 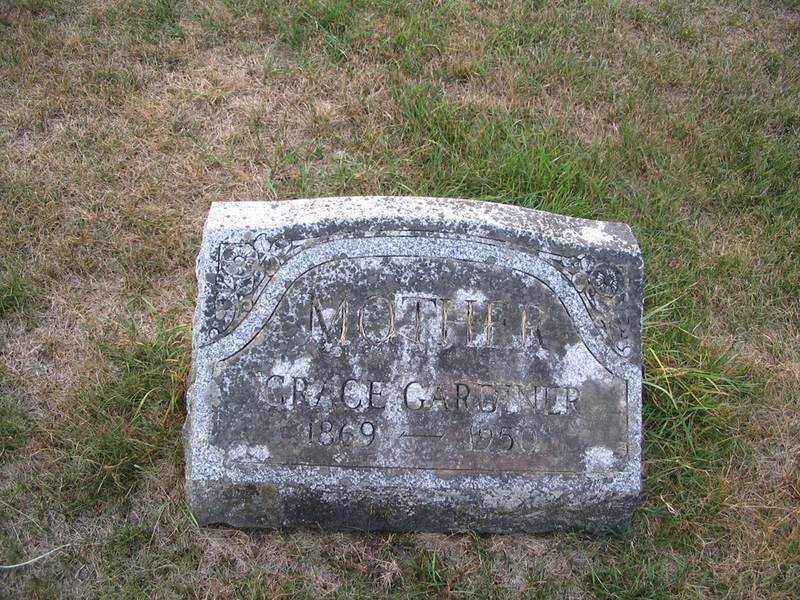 McLellan wrote: "A large, very well kept, incorporated cemetery." It was typed by Joyce M. Ranieri in December 2004. McLellan used a / to represent a line break. That formatting has been retained in this transcription. Tis all thou art, and all the proud shall be. Almira K. / Daughter of / James & Roxey / BUSHNELL / Died / July 24, 1851 / AE. 20 Yrs. & 10 M.
Lauretta Dewey GIBSON. / 1823. 1826. Charles Gale PERRY. / 1857. 1860. Phebe Ann / Daughter of / John & Johannah / GRANDY, / Died July 23, / 1842, / AE. 6 years. / 3 mos. & 20 / days.